2JR Complete Catch Can Kit for the Juke all years (turbo only). Fits all models of Jukes - AWD/FWD, including Gen1 and Gen2 Engines. 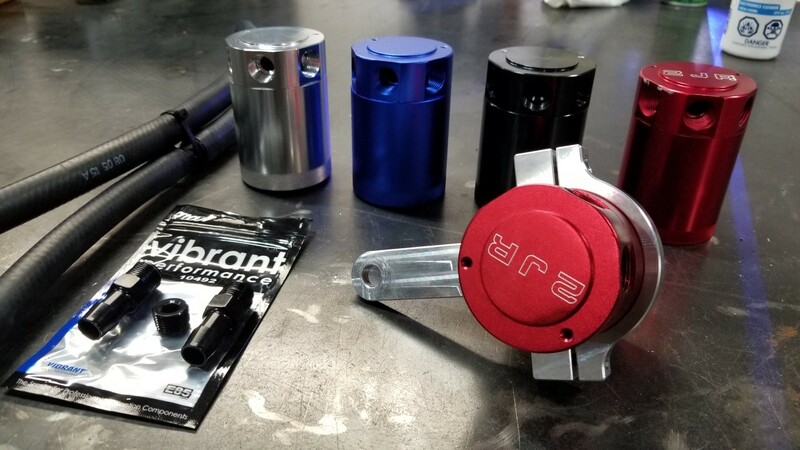 Arrives with all the lines precut for ease of installation, billet mounting bracket, spring clamps, optional drain kit and engraving. 4 Color Choices available. Please know that each kit is built to your order specifications and can take approx 2 weeks to ship depending on production cycle. FOR INSTALL INSTRUCTIONS - REFER TO THE VIDEO ON THE 2JR FACEBOOK PAGE AND/OR YOUTUBE CHANNEL!